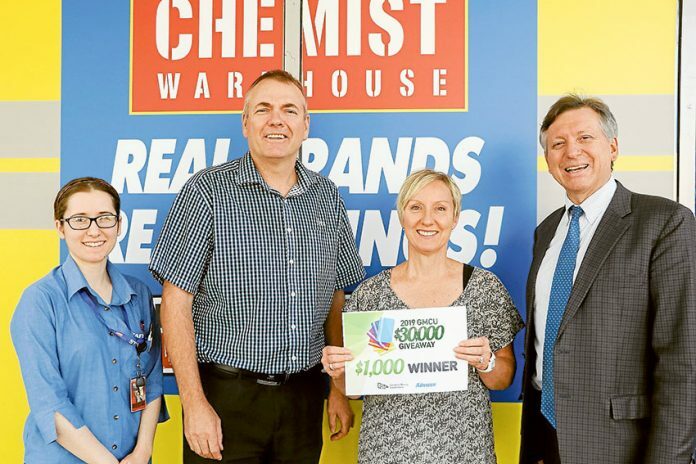 CHEMIST WAREHOUSE RIVERSIDE PLAZA… From left, Chemist Warehouse Riverside Plaza retail manager, Bianka Rosegas, GMCU Shepparton branch manager, Dallas Moore, 2019 GMCU $30,000 Giveaway week three $1,000 winner, Deb Sizer and The Adviser managing director, Geoff Adams. Photo: Katelyn Morse. 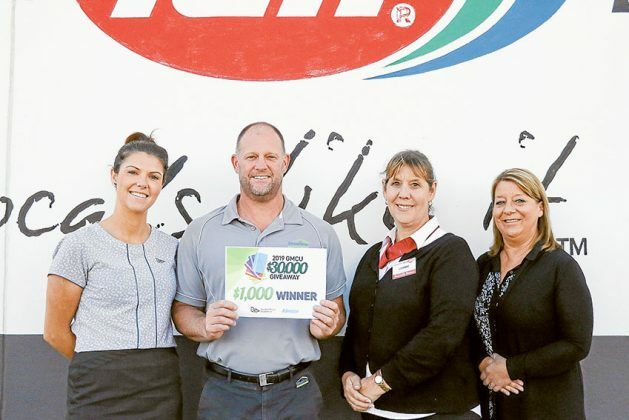 FAIRLEYS SUPA IGA… From left, GMCU Shepparton member service officer, Melissa Foster, 2019 GMCU $30,000 Giveaway week three $1,000 winner, Travis Ryan, Fairleys SUPA IGA front end manager, Leanne Florence and The Adviser advertising manager, Melanie Spencer. Photo: Katelyn Morse. WOOLWORTHS SHEPPARTON MARKETPLACE… From left, GMCU Shepparton loans officer, Craig Durston, Woolworths Shepparton Marketplace customer service/2IC, Desma Bovell, 2019 GMCU $30,000 Giveaway week three $1,000 winner, Sue Holland, Woolworths Shepparton Marketplace produce manager, Ben Vanderway and The Adviser general manager, Will Adams. 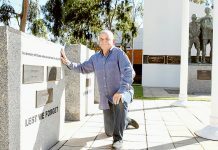 Photo: Katelyn Morse. THERE was certainly a great deal of excitement coming through the phone when The Adviser called the week four winners of the 2019 GMCU $30,000 Giveaway, who will each walk away with a $1,000 GMCU debit card and automatic entry into the grand prize draw of a $5,000 holiday voucher and $5,000 local shopping spree. 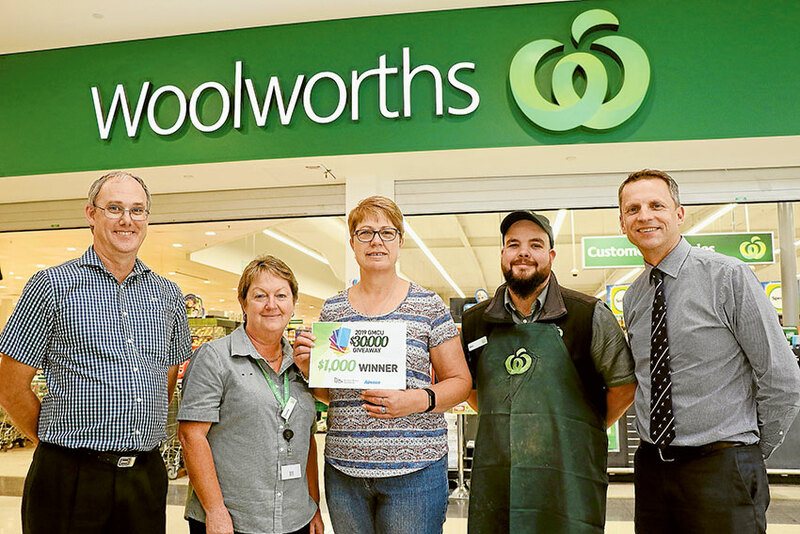 Congratulations to all of this week’s lucky winners and remember, all you have to do to be among next week’s winners is spend a minimum of $10 at any of the participating businesses, fill in your form and drop it in the box provided.